This is the twenty-sixth in a series of posts about war tax resistance as it was reported in back issues of The Mennonite . Today I’m going to try to cover 1979. In early 1979 , there was a special general session of the Mennonite General Conference especially to discuss war tax resistance, and in particular, to decide whether the Conference would support its tax-resisting employees by refusing to withhold taxes from their paychecks. In our last episode, the heat was rising, with opinion pieces and study guides and letters to the editor addressing the issue. Now, with the session approaching and the decision imminent, things really began to boil. Some of us… are part of the “silent majority” that feels inundated by the tax-resistance mail arriving almost daily. The Kauffman-Harder profile ( 1975 ) stated, “A member of our churches ought not to pay the proportion of his income taxes that goes for military purposes.” Only 15 percent of our denomination agreed; and no more than 8 percent among the Mennonite Brethren and Brethren in Christ. Even fewer actually withheld tax. Eighty-five percent disagreed! Now Minneapolis looms ahead. Many of us feel we are being swept helplessly downstream toward an ill-advised showdown. I was one of the 453 delegates at Bluffton ( 77 ) who voted “no” on resolution 11. But it carried. There seems to be a wide gap between delegate-action at conference and constituency-opinion at home. How did “the few” persuade “the many” to agree to a February session that will cost about $100,000? Behind this ideological shift stands our Commission on Home Ministries. Three years ago CHM began publishing a war-tax newsletter, God and Caesar . In the fifth issue they report on a two-day war tax conference they conducted at Kitchener, Ontario. “The evidence suggests that most Anabaptists did pay all their taxes willingly…,” the report avers; but CHM leaders pledged themselves “to raise consciousness about war tax and militarism issues…” Highly significant is the fact that two scholars. Miller and Swartley, emerged at that session as men willing to say that the Scripture does not give us a clear command to pay taxes used for military purposes. It is my impression that Mennonite stalwarts of recent decades, H.S. Bender, Guy F. Hershberger, Erland Waltner, and John C. Wenger, to name just a few, all taught the full-paying of taxes on scriptural grounds. Their general view agreed with Paul, who taught the paying of taxes in Romans 13 and was fully aware that Rome had crucified Christ, had subjugated many nations, and was now ruled by the despot Nero. H.S. Bender, writing on “Taxation” in 1959 , claims that “few if any Mennonites” were presently refusing to pay the portion of income tax calculated to go for military purposes, which he estimated to be about two-thirds of the total. The current tax-resistance movement requires a major shift in biblical interpretation. This is something new. It appears to me that today’s tax-resisters are hard put to proof-text their views. Swartley admitted to Kitchener ( 1975 ) “…there is no New Testament text which either explicitly or clearly implicitly tells us not to pay taxes.” Yet some go from text to text progressively untying the knots of normal interpretation. But the knot of Romans 13. will not easily yield. Donald Kaufman ( What Belongs to Caesar , page 48) chides Oscar Cullmann for “his lack of moral discernment” when he insists that disciples of Jesus pay tax, no matter to what government. John Howard Yoder, well-known for his personal tax-withholding procedure, nevertheless, in his oft-reprinted masterpiece The Politics of Jesus (page 211), approvingly quotes C.E.B. Cranfield, “taxes and revenue, perhaps honor, are due to Caesar, but fear is due to God.” In sketching the limits of subordination, Yoder stops short of using Romans 13 for tax resistance. Not so Larry Kehler in The Rule of the Lamb . Using his stature as editor-writer, Kehler seems to infer that Paul supports our tax resistance. The truth of the matter is that for every scholar who teaches tax resistance from Romans 13, there might be 50 competent professors who teach otherwise. A tax protest based on Romans 13 is an exegesis not easy to defend. Is it possible that CHM has moved ahead too quickly on this issue — even out of earshot? Take their suggestion that the General Board no longer honor tax-withholding laws for some employees ( The Mennonite , 2 November 1976, page 648). On 1 August 1977 the constituents turned back Resolution 12 (yes — 336, no — 1,190) on this issue. Bluffton delegates later gave the mandate for a midtriennium conference, but even this decision process was interlaced with CHM influence. The delegates, caught in the euphoria of the moment, unable to confer with churches at home, approved the surprise resolution. Most surprising of all, Larry Kehler, as recent as 5 December 1978 , wrote, “I have not yet been able to discover any tax resisters in Canada…” Little wonder CHM’s promotion is so voluminous. When churches in the Midwest ask CHM for a clarification of issues, men are readily available to give excellent thought-out defenses for tax resistance and civil disobedience. But no one seems willing and/ or permitted to present the traditional biblical-Anabaptist stance and say, “That’s my view.” So we, the silent majority, feel like people with no representation. While we collect thousands of dollars for conference coffers, no one pleads our case — the case of the majority. Any protest, it seems to me, needs keen discernment. Picketing a tax office, withholding income tax, or balking at withholding laws may all be misdirected efforts. The Internal Revenue Service is only a collecting agency. Do we punish the newspaper boy, refusing to pay when we dislike an editorial? No, we phone the editor. Why not spend our energy on the decision makers? A hope seems to flicker in some minds that a domino reaction, “me too, me too,” will bring out an avalanche of Mennonite tax resisters. Then, some aver, a frustrated government might negotiate. However, worse things may accrue. Attorney J. Elwin Kraybill says that evading tax is a felony (26 USC 7201) and can result in a fine (maximum $10,000) and/or prison (maximum 5 years). At the least most Mennonites would be subjected to the harassment of an annual audit. At the worst they could be accused of spawning anarchy — a trend already evidenced in teachers’ strikes and police strikes. I wonder if tax resistance won’t trap us in a blind alley — in a stance too negative. Why curse the darkness? Let’s plant a light. In past decades our conscientious objector position was transformed by creative service in refugee camps, mental hospitals, and mission schools. Today we again need positive solutions. Could Mennonite Central Committee possibly establish a research center with departments like peace, pollution, and world hunger? When our scholars really tackle these complex problems, our governments will knock at our door. In retrospect, I was proud when President John F. Kennedy turned to MCC for advice on the Peace Corps. I am a Mennonite, both by birth and by choice. I deeply appreciate our Anabaptist theology. As a pastor I can affirm with my parish CHM’s conviction of (1) the limited nature of Caesar’s power; and (2) the lethal character of its weaponry. However, we do not feel it biblical or Anabaptist to rob government of its right to taxation, or even some national defense. Where government abuses this right we wish to exhaust every legal channel of protest before we engage in illegal maneuvers. A final word. I tested this letter with my Board of Deacons. All seven present, to the man, encouraged me to send it. Editor, thanks for letting us speak. I read with great interest your articles about the forthcoming discussion of war taxes at Minneapolis. I’ve had a great concern to write some few lines on one small aspect of this large question, but generally put it off as a nit-picking historical footnote. Observing that “historical perspective” will play a role in the consultation next February , I thought I should take time to clarify what might possibly lead to misunderstanding. A number of recent discussions on the war tax issue have stated that Mennonites and Brethren paid their taxes in obedience to the biblical injunction of “taxes to whom taxes are due.” The reader might reasonably conclude that, unlike Friends, neither Brethren nor Mennonites were troubled in conscience about payment of taxes levied for any purpose. The point would be too insignificant to raise in even some nitpicking scholarly review, if it did not have consequences for our understanding of our own heritage in regard to a current issue of great importance. In 1968 Peter Brock published his monumental Pacifism in the United States from the Colonial Era to the First World War . The scope of his subject precluded his searching into every manuscript collection that might bear some relation to it, and he relied heavily on printed sources. The limited number of published works on Mennonite history is reflected in his footnotes and bibliography. Walter Klaassen leaned heavily on Brock for his interpretation of the American scene, since his own scholarly work has been in the European Anabaptist sources. There is a danger in this process that, in spite of passing through the hands of two very distinguished modern scholars, the material is no better than the sources available to Mennonite historians 50 or 75 years ago. The danger of allowing this recycled history to determine our understanding of our own heritage is compounded by the fact that Brock made assumptions that went beyond his somewhat limited sources in describing the position held by Mennonites on key issues, notably on the payment of taxes. The first mention of any Mennonite attitude on this question involved Mennonite settlers in the Shenandoah Valley of Virginia in the 18th century . Brock noted that they “were able to obtain exemption by the payment of militia fines, against which — unlike the Quakers — they had no deep-seated scruples of conscience,” but that they petitioned in 1773 (sic) for relief from militia fines, “not because of any fundamental objection to this alternative to service (for was it not merely rendering Caesar his due? ), but on account of their poverty as frontiersmen eking out a bare subsistence.” He cited as his only source Harry A. Brunk’s History of Mennonites in Virginia , but Brunk does not make any of the statements I have quoted; he is quite clear in his statement that conscience was involved. Virginia Mennonites petitioned the authorities in Williamsburg for relief from militia fines in 1769 and again in 1772 . No copy of these petitions is known to be extant and we know of the contents only from the brief minutes entered in the Journal of the House of Burgesses . Since the Virginia lawmakers exempted Quakers from payment of militia fines for the first time in 1766 , it is not surprising that Mennonites sought the same privilege, which was granted them by the House of Burgesses in 1772 . This 1785 petition and one offered the previous year by Rockingham County Mennonites and Brethren did not succeed in changing the law, and the payment of fines was the subject of occasional petitions from all three of the peace churches. What is significant about the 1785 Virginia petition is its statement that payment of militia fines violated the liberty of conscience that Mennonites otherwise enjoyed and that this was true under the king as well as during and after the Revolution. It would appear to me impossible to square this contemporary Mennonite document with the interpretation that Mennonites paid militia fines as merely rendering Caesar his due! The conscientious objection to payment of a fine or equivalent to militia duty in Virginia on the eve of the Revolution might help us in understanding the position of Pennsylvania Mennonites. There was no compulsory militia law in Pennsylvania prior to 1777 , so no question of fines or other equivalent would have arisen as early as it did in Virginia. In 1775 Pennsylvania authorities requested voluntary contributions from those who scrupled against bearing arms and the Continental Congress itself made a similar appeal. Records of the county committees entrusted with collecting this money suggest that it had a mixed reception. Objections were heard very early, however, against levying contributions from conscientious objectors on a purely voluntary basis. In October 1775 the Pennsylvania Assembly debated imposing a set amount as a special tax on non-associators. They read petitions from the Quakers and from the Mennonites and some members of the Church of the Brethren. The meaning of these petitions seems perfectly clear. A well-known military historian understood them to mean that “not a few Quakers and Mennonites joined to oppose not only the Association but any tax levied in lieu thereof.” (Arthur J. Alexander, “Pennsylvania Magazine of History and Biography, ⅬⅩⅨ, January 1945 , page 16.) This would follow logically from the position taken by Virginia Mennonites, who were closely related to the Pennsylvania congregations. When a Militia Law was enacted in 1777 in Pennsylvania, no provision was made for the exemption of conscientious objectors, and a special tax was imposed on them in lieu of military service. It was this tax that was under discussion among Franconia Mennonites when a majority of the preachers opposed Christian Funk’s contention that it ought to be paid. I am well aware that Pennsylvania Mennonites felt uneasy with the new revolutionary regime and declined sending a formal petition to the legislature in 1778 since it would involve addressing them as “the representatives of the freemen of Pennsylvania.” Hostility to the new government may well have colored the attitude of Funk’s opponents, but it does not explain why they opposed payment of this particular tax and not of all taxes levied by the new state. There is no hint in any official document, newspaper, letter, or other contemporary source that any Mennonite in Pennsylvania refused payment of any other tax. Surely there would be some notice taken by someone of tax resistance, particularly if it were on the quasi-political ground that the new government had no legitimate authority. On the other hand, reluctance to pay a tax levied in lieu of military service would square with the Virginia documents, the obvious sense of the 1775 petition, and the minutes of the Church of the Brethren annual meetings that refer to persons with conscientious objection against paying for substitutes and paying the tax (singular). Will we be ready at Minneapolis to decide issues related to paying those taxes required of the state used for death-threatening militarism and weapons building? Much depends on how adequately congregations study and discuss The Rule of the Sword and The Rule of the Lamb prior to Minneapolis. Much depends on adequate congregational representation. And much depends on an openness to hear each other and the leading of God’s Spirit. What are specific questions we must answer at Minneapolis? What is the biblical teaching on civil responsibility and civil disobedience? Are Christians ever called to civil disobedience? If civil disobedience may at times be a Christian response to government, what conditions or principles guide that response? Is the payment of taxes used for war purposes one such condition? If “war tax” resistance is a Christian response to a government’s militarism and to the nuclear arms race, to what extent and in what ways should that response be encouraged and initiated? Is conscientious objection to paying for war in today’s context equivalent to conscientious objection to physical participation in war in the past? Should General Conference and other Mennonite institutions honor employees’ requests that the portion of taxes used for military purposes not be withheld from their paychecks? Should Mennonite employers even go beyond this and refuse to be “war tax” collectors for the state for any of its employees? Is the bottom line for the Minneapolis conference the question of tax withholding? Not necessarily. Other options for faithfulness and witness may be discovered. Our search for Christian civil responsibility must be open-ended rather than locked into the consideration of only one kind of action. However, the withholding question is a very important one on which we are committed to making a clear decision. The withholding question is significant, but not because this is the only alternative for the employee. There are other ways to have less tax withheld. Possibilities include refiling a tax form to include allowances for expected (“war tax”) deductions, forming an alternative employing agency, or contributing up to 50 percent of salary to charitable causes. The withholding issue’s greatest significance lies with the questions of corporate responsibility and the issue of church as an agent of the state. I would suggest five reasons for the conference to consider honoring requests from persons asking that their taxes not be withheld. (1) Honoring these requests would eliminate the discrimination between ordained and nonordained employees. In the U.S., ordained employees are considered “self-employed” by the tax department and are exempt from withholding regulations. Nonordained persons have to follow a more difficult procedure to enable resistance. Currently at least four ordained employees of the General Conference offices are not voluntarily paying the military portion of their taxes. (2) Honoring nonwithholding requests would represent a corporate peace witness rather than leaving such witness and action solely to the individual. (3) A corporate conference voice and action would make a much stronger witness for peace and justice than lone voices here and there. (4) Nonwithholding would be one appropriate way to initiate a test of the constitutionality of requiring church agencies to collect taxes for the state. (5) This corporate action builds on our Anabaptist theology of peace and takes seriously the way our financial resources contribute to warmaking. My hope for Minneapolis is that the General Conference Mennonite Church will act to do something together about our nations’ militarism. This could be corporate action regarding withholding “war taxes.” This could be a commitment to a large-scale symbolic resistance to “war tax” payment (e.g. “each” Mennonite withholding $10 and explaining why). As a conference we could send a strong message to our governments regarding militarism and the taxation which supports it. We could issue a “war tax” statement to be shared with the larger church (other denominations) as well as to our governments. We could make a stronger effort to promote the World Peace Tax Fund Act in the U.S. and instigate other alternatives in Canada. These are only suggestions. Delegates need to think of other options. Minneapolis will be a failure if we conclude that “everyone do what is right in their own eyes.” Minneapolis will be a success if we take some large or small step toward corporate responsibility and action. Andrew R. Shelly also chimed in with his perspective in that issue. In the 1966–76 decade , the U.S. federal budget increased 48 percent for defense, space, and foreign affairs (probably not even keeping up with inflation). The human-resources part of the budget jumped 378 percent during the same decade. Not all these programs are effective, yet they represent an attempt to cope with areas of great need. When we criticize government expenditures, let us remember that we Mennonites have been increasing our budgets in North American institutional and church developments rather than for that part of the “one in Christ” where poverty is indescribably great. Furthermore, Shelly felt that there was an overemphasis on war as a source of violence. Alcohol, reckless driving, and abortion, were also examples of violence that deserved at least as much attention. Finally, the way to peace, he felt, was not through civil disobedience or protest or peace witnessing, but simply through spreading the gospel and getting more people to adopt Christian values. For example: “during the massacre in Uganda almost all Christians refused to shoulder guns.” So Mennonites should stop arguing about taxes and rededicate themselves to missionary work. Kenneth G. Bauman penned an op-ed for the 23 January 1979 edition, from the point of view of “some of us”. Bauman thought the Bible offered little or no support for war tax resistance. Jesus did not counsel it, even when pitched a softball. Paul explicitly said Christians should pay their taxes to Rome and the Roman Empire wasn’t exactly peaceful. Those examples of civil disobedience found in the Bible never touch on war taxes or on conscientious objection to government spending. Mennonites, he felt, shouldn’t just skip over this on the way to making their own independent moral judgments about war taxes. A good historical development of this issue is found in Walter Klaassen’s pamphlet Mennonites and War Taxes . A summary is found on pages 40–41 in The Rule of the Lamb . The only groups that refused taxation were the Hutterites and the Franconia Conference in Pennsylvania during the Revolutionary War. The issue was probably not “war taxes” but rather who was the legitimate government, the British or the United States? Recent Mennonite scholars hold the traditional view. Check the writings of Guy Hershberger in War, Peace, and Nonresistance (page 369), Harold S. Bender’s “Taxation” in The Mennonite Encyclopedia , and Robert Kreider’s “Anabaptists and the State” in The Recovery of the Anabaptist Vision . Kreider states, “The Anabaptists agreed unanimously that the Christian owes obedience to the civil authorities insofar as the prior claims of God are not violated in those duties. The Christian gives this obedience freely and not grudgingly. He pays taxes, tithes, interest, and customs as required by the magistracy. No evidence can be found to substantiate the frequently made accusation that the Anabaptists refused to pay these obligations” (page 190). Some of us respect the individual conscience as we want our conscience to be respected, but we are not convinced that those who believe in withholding taxes have seriously considered all the options. Several alternatives are (1) filing suit against the government to recover taxes, (2) setting up a subsidiary corporation, and (3) greater efforts toward a World Peace Tax Fund. We are grieved that in this hour when we need a united witness against militarism, with selective service a real possibility (which will also include women), we are divided. We object to our peace position being questioned because we do not see withholding taxes as being biblical or Anabaptist-Mennonite. Some of us are waiting for open dialogue on the tax issue. The other side has not been formally presented in the General Board, nor was it given adequate representation at the Consultation on Civil Responsibility at Elkhart, nor has it been given a fair presentation in The Mennonite . We question whether the midtriennium conference will change the situation. It is true, for instance, that Peter was referring to the Jewish leaders and not to the state when he said we must obey God rather than men, but the principle would be the same in either case, wouldn’t it? It seems to me that the Christian gospel speaks to the needs of each age, and different things need to be done in different ages. There would have been no need to warn early Christians to drive carefully lest someone’s life might be taken in an accident. But today there certainly is. When Jesus said to his disciples that they would do greater things than he had done, didn’t he imply that there would be a need for greater things in later ages than there was in the time of the early church? The common person at that time had no rights, no influence on government. In a democracy we Christians have responsibilities the early Christians did not have. I don’t have to pay income tax; I don’t know whether I would have the courage to refuse if I did. But I certainly admire the ones who do refuse to pay taxes for conscience’ sake. …Of course, there may be other alternatives which are more effective than the refusal to pay taxes. For instance, as my sister suggested, if we would deluge the government with letters and with telephone calls and insist that this arms race must stop — or at least that they give us the right to have a peace tax — that might do more good. On the other hand, David A. Somner wrote in to praise what he called Bauman’s “clear, biblical, historically accurate” statement. A letter from David C. Janzen, dated 30 January 1979 , published in the 3 April edition, said that “[b]ased on our congregational meeting on the issue, it would appear that the [war tax] protesters are a small but very vocal minority.” He thought the conference was a waste of time trying to relitigate an issue that had been decided by Jesus way back when. An advertisement in the 30 January 1979 edition announced the publication of Donald Kaufman’s The Tax Dilemma: Praying for Peace, Paying for War . Moved that we request the General Board of our conference to engage in a serious and vigorous search to use all legal, legislative, and administrative avenues for achieving a conscientious objector exemption from the legal requirements that the General Conference withhold income taxes from the wages of its employees. If no relief can be found within a three-year period, they shall again bring the question to the attention of the conference. So… the can kicked another three years further down the road. Well, what were you expecting? …Would our General Conference grant an employee’s request to no longer withhold from her salary that portion of the income tax which goes toward military expenditures? Many predicted a collision course. Minneapolis would be a showdown. The drama has happened. And the unexpected far outdid the expected. A month prior to the assembly only a few hundred people had registered. Polarized positions surfaced in many congregations. There was talk of maneuvering, boycott, and schism. The annual Council of Commissions met at Minneapolis on 6–8 February to do the usual review and projection of GC program and budget. Hardly a session went by without reference of concern about the midtriennium. By Thursday evening it became obvious that God’s Spirit was again among us in unusual ways. In faith, space had been reserved for 500 people. Over 700 came. We found the issue is not “yes-no” “either-or” regarding war taxes. It includes our lifestyle. Do we live in ways that share Christ’s salvation, love, and justice to all. This is not just for a few brave radicals. Each of us needs to choose again and again to let our light shine. We found the issue is not Cornelia Lehn and civil disobedience. It is obedience to Jesus in today’s world. We found the issue is of deep concern to our youth. About 100 persons present were under 25. And they spoke up. Their generation most directly faces the nuclear shadow. If we want to leave them a heritage of peace we must address our faith to this global threat. The main resolution (above) passed 1,218 to 134. Following the… conference the General Board set up a six-person task force to implement the decision of the delegates. The persons for this committee have been appointed and upon acceptance their names will be released. A later article named them as Delton Franz, Duane Heffelbower, Bob Hull, Heinz Janzen, Ernie Regehr, and Ben Sprunger, and noted that “[t]he task force had its first meeting 26 March in Columbus, Ohio.” Later Stanley Perisho, Chuck Boyer, Winifred Beachy, Janet Reedy, and Gordon Zook were added to the list. Though the conference officially started Friday morning, 9 February , most people arrived Thursday evening in time to watch a group from the Mennonite Collegiate Institute in Gretna, Manitoba, present The Blowing and the Bending , a musical drama highlighting the themes of wartime intolerance for conscientious objectors and Mennonite struggles with the war spirit. the gospel is first, pacifism is secondary. it is important to be legal. it is better to be faithful. a witness for peace has to have the integrity of an appropriate lifestyle. the government is more willing to accept conscientious objectors than the church. there are other social and political issues which need to be spoken to. a corporate witness is/is not the route to go. militarism today is a qualitatively different problem than anything civilization has had to face before. the response to militarism is a theological and faith issue. When one delegate called for a show of hands to indicate who had done some protest against nuclear proliferation and militarism about 20 percent of the assembly said they had. Though most of the delegates who spoke during the afternoon plenary session admitted they were troubled by worldwide military expenditures over one billion dollars daily, they nevertheless said the church as a corporate body should not engage in illegal activities in its witness against war preparations. Instead speakers urged alternatives. A sentiment often expressed, however, was that the church, while avoiding illegal actions, should actively support its members who engage in civil disobedience on the basis of conscience. Alvin Beachy of Newton, Kansas, said the church seemed to be shifting from a quest to being faithful to the gospel to being legal before the government. By 9:00 p.m. the groups were supposed to have their consensus ready for the findings committee. Many of the statements came later in the evening, and the findings committee of six began to sift through the material. They spent a good part of the night at it, got up again early on Saturday , had it typed (three pages, single spaced), and by midmorning Saturday 800 copies were being distributed. There was a flurry of action on why the midtriennium conference organizers had brought this question to the assembly so early in the day. Conference president Elmer Neufeld replied that the intention was to bring the question to the delegates in a clear and forthright manner. The General Board executive committee had decided to present the main question of the midtriennium in ballot form as a way of helping the decision-making process. After some discussion on the procedure Kenneth Bauman of Berne, Indiana, moved the ballot. It was seconded and discussion began. This sparked a miniprocedural debate. Was a substitute motion the same as an amendment? Checking their judgment against Robert’s Rules of Order , the three-man procedural committee said it was. There was some objection to the ruling. It was a key ruling. From the tenor of discussion, and from the statements which 75 churches brought to the midtriennium, it was apparent that most GC congregations were not willing to vote “yes” on the first motion. If the first motion had come to a vote the decision would likely have been against those in favor of not paying war taxes. Hence the substitute motion was debated first. In short order it was also amended by Herman Andres of Newton, Kansas. The amendment carried by a vote of 906-to-458. The amendment changed the second sentence to read: “If no relief can be found within the three-year period they shall again bring the question to the conference.” The vote was taken just prior to the noon break. Gordon Kaufman, professor at Harvard Divinity School in Boston, probably made the key speech of the morning, thereby paving the way for delegates to be sympathetic to the substitute motion. After a rushed noon break — “Here they come,” said one restaurateur — the final session of two hours began. A vote was taken on the substitute motion and it passed by a plurality of nine-to-one, 1,218-to-134 votes. During the afternoon session various people made capsule comments and appeals. The magazine helpfully tallied the delegates by district. Curiously, I thought, the Eastern District was the most well-represented, with 81% of their votes represented by either delegates or proxies. I saw some evidence in our last episode that the Eastern District might be particularly conservative on this issue. The least well-represented of the United States districts was the Pacific, with only 46% of its voters represented. Canada turned up to a greater extent than some had worried, with 57% of voters from the Conference of Mennonites in Canada voting. Never in our history have so many engaged their energies so extensively in preparation for a conference decision. We want to be obedient citizens, but even more we want to be obedient to Jesus Christ. In this quest we are aware that the Bible and our people’s experience do not give us fully explicit answers on the tax issue. At this moment, therefore, these are our best discernments. As Christians we must speak and act. We hope that Mennonites will support sons and daughters in their leadings to witness for Christ — even in such acts as refusing to pay taxes destined for war. This means prayerful, moral, and financial support. Our tradition has been to be a quiet people. We yearn to act and to witness in sensitive ways which exhaust every acceptable legal process available to the constituency. We encourage the General Board to work at developing alternative possibilities for the handling of tax withholding and to work in collaboration with other church bodies and institutions in seeking to extricate itself from the role of being a tax-collecting agency. It is easy to call governments and conference offices to faithfulness. Perhaps the most urgent call proceeding from this conference is a call to each other — to individual church members, to families, and to congregations — a call to renewed faithfulness. What are we prepared to do in revising our style of life as affluent witnessing against the powers of darkness in this world? How does my life vocation fulfill the claims of Christ for this age? We yearn for unity in our churches. We want to proceed together in our pilgrimage of obedience but don’t want to tarry long in fear and indecision. We want to affirm those individuals whose consciences are sensitive on issues not fully shared by all. Mary Gerber, on 2 March told the Mennonites who weren’t resisting taxes that they were in the right and shouldn’t feel guilty about it. [S]everal of the church statements and many individuals expressed a feeling of guilt that they were not following in the steps of those “prophets” who were refusing to pay a portion of their tax. In order to compensate for their personal unwillingness to break the law they enthusiastically offered to provide moral and financial support for those who did. …[P]aying someone else to perform what is also my moral duty is blatant hypocrisy. If we… honestly wish to follow Christ in all, we will respond as he did in similar circumstances. We will love and correct that brother, not aid and abet him. Ralph A. Ewert, on 8 March , suggested that people (in the U.S. anyway) who did not want to pay a percentage of their income taxes should figure out how much they would have to donate to charity in order to reduce their taxable income enough to eliminate that much tax and then donate away. Mark Penner, on 13 March related the temple tax and render-unto-Caesar episodes from the Bible as slam-dunk reasons to oppose tax resistance, as though nobody had thought of that before. While I would like to stop warring uses of my taxes by refusing to pay, and giving instead to peaceful purposes, I know the IRS will collect the money — in spades — and my witness will be just to the collectors and their supervisors. The government will not prosecute such tax resistance, because that would draw too much public attention. These words speak of positive responses to negative problems, and of a method to make a tax witness virtually impossible to be ignored by even the most recalcitrant legislator; a “second mile theology of witness.” Taking these words seriously led me to decide that with a letter of protest to the IRS I will pay my full taxes. Then I will send an amount hopefully equal to the “war taxes” to my senators and/or representative in a check made out to the government along with a letter of witness. I will try to find a way to give the money so that disposition on the congressional floors might be expected — if that be possible — but even if the legislators send the check back they have had to come to grips with its existence and its accompanying witness. The returned check would then call for another letter containing the check, which again could not be ignored. The letter will contain a brief statement of my conscientious objection to killing and its implications to the use of my tax dollars for war. Then it will turn to the disposition of the check. Explaining respectfully that since they are acting against my will as a provider for the military machine with my tax dollars, I will ask as diligent action on my behalf for the use of the money enclosed for the proliferation of peace. The money is to be used by the government within the framework of not doing violence to my conscience. I will list some uses of the money which would violate my conscience, and why — being careful not to suggest specific uses I would desire. The whole idea is to get legislators to dialogue with their conscience on this issue. I will actually split the check, sending at least two letters. Our new Kansas senator, Nancy Kassebaum, needs to be made aware of our faith early on. On the other hand, Robert Dole is one of the most recalcitrant senators at the point of military spending. He had the temerity to come to our Mid-Kansas MCC relief sale in his campaign last year and speak on the “need” for increased military spending. It may even be advantageous for my congressman, Dan Glickman, to receive a letter with part of the money. He is a Democrat, and with Dole and Kassebaum being Republicans he might just act as political conscience to the others. In each case of a split check, all recipients will be told that there are others and the total amount of the checks written. After sharing this idea on the conference floor, there was sufficient informal response between sessions that I decided to share more in this letter and to invite anyone else who wishes to join me in this effort. It would be desirable to make a coordinated effort so that the letters arrive within a relatively short time for the greatest impact. It might even be good to split up the amount into quarterly payments to be sent at strategic times throughout the congressional year. If you are interested in dialogue on this idea or if you plan to try it with me, I would appreciate hearing from you and receiving your input. Stanley E. Kaufman, on 23 April expressed his disappointment at the timidity of the “too-reluctant” Minneapolis resolution. He urged The Mennonite to publish frequent updates on the work of the task force searching for a “legal alternative” along with suggestions for how people could help that work, and that people who do independent outreach to officials keep The Mennonite informed of their actions. He also said that while the institutional church dithers, “each of us individuals [should] consider stronger forms of witness”. Direct tax resistance should not be forgotten for three years but should be actively debated in our congregations and experimented with in our lives. One of the biggest barriers to this is not knowing who and how many others are currently engaged in tax resistance. I am refusing to pay voluntarily my telephone tax (being a student, I have no income), but I’m finding even this relatively simple stance rather difficult because I feel I’m standing alone. I suggest that The Mennonite could provide a forum — perhaps through a special column — in which all those resisting taxes could find each other and communicate experiences they’ve had, arguments they’ve encountered, statements of the bases of their actions, etc. In our efforts to be faithful to God in this matter — to attempt to change U.S. military policy through tax witness — we need to be “wise as serpents and harmless as doves.” We need to refine our strategies, improve our communication, and support each other’s involvements. It appeared that our over-politeness got in our way to deal effectively with the issue at hand. It appeared as though the issue at hand was put on the back burner to simmer to give us Mennonites more time. More time for what? It will give a few people more time to pursue other legal alternatives to the specific tax issue. It will also give many of us grass-roots people in the church more time to remain silent and not be directly faced with a Mennonite stand on the issue. It is those long, noncommitted silent periods which trouble me… A firm and committed voice by the Mennonite people needs to be heard in our world now. Gaynette Friesen, on 13 September , wrote that though “we still have nearly 2½ years to resolve ourselves, hopefully as a unified body, to the question of war taxes,” that’s no reason to slack off. Two meetings of the task force on taxes have been held. The task force has been expanded to include representation from the Church of the Brethren, the Friends, and the Mennonite Church. This group of 11 is expected by the participating churches to establish the legal, legislative, and administrative agenda of a corporate discipleship response to military taxes. At their second meeting ( June 28–29 ) the task force members rejected administrative avenues. Within the scope of U.S. Internal Revenue Service or Revenue Canada regulations this would involve extending ordination, commissioning, or licensing status to all employees of church institutions. It was a consensus of the task force that this would be an administrative loophole. It would not develop a conscientious objector position in response to military taxes. However, both the judicial and legislative options will be pursued simultaneously. Plans for the legislative option are the more developed. For the legislative route to work, says Delton Franz, director of the Mennonite Central Committee Peace Section office in Washington, D.C., the problem of conscience and taxes will have to be defined carefully. Currently a paper focusing on the reasons the General Conference has a major problem of conscience with collecting taxes from its employees is being drafted. After it has been reviewed and okayed it will be sent along with cover letters by leaders of the historic peace churches to congresspersons representing major constituency concentrations and those on key subcommittees. Later on church members will also be asked to write letters. It is important, says Franz, to define the problem of conscience in such a way that it will motivate congresspersons to work vigorously for the bill. Another follow-up to these initiatives will be a visit to Washington of the most influential peace church leaders to solicit support from selected members of Congress and to obtain a sponsor for an exemption bill. In preparation for the next meeting of the task force in November law firms are being contacted for advice on optimum judicial procedures should the task force decide to initiate a case as plaintiff. However, there is doubt that a judicial process would be productive. There is a possibility that a parallel task force will emerge in Canada. Ernie Regehr, director of Project Ploughshares, Waterloo, Ontario, notes the necessity of defining the question of militarism in Canadian terms for Canadians. Regehr is attempting to gather a Canadian task force. This mirrored a growing enthusiasm for the Peace Tax Fund legislation in many organizations and congregations of the General Conference. This would ultimately allow Mennonites to pass their well-worn buck all the way to Washington, D.C., and let Congress take the blame for further delays. The New Call to Peacemaking initiative continued in 1979 . Tax resistance was on the agenda at the follow-up meeting for churches in the central United States in March 1979 . In the workshop on conscription of wealth Bob Hull, secretary for peace and social concerns of the General Conference, suggested some alternatives to paying war taxes. Others offered their own suggestions. It was decided that resisting war taxes is a complicated affair and that each person should decide according to their conscience. Several expressed the desire to pay taxes for education, welfare, and other social services, and wished there was an alternative such as the World Peace Tax Fund. [Richard] McSorley, who has had contacts on Capitol Hill, responded by saying that until there is a large grass-roots movement of tax resistance the WPTF doesn’t stand a chance. The latter half of the workshop included sharing by Bruce Chrisman, Carbondale, Illinois, who is involved in a federal criminal case, one of two in the U.S. involving tax resistance. His case is significant because it will provide a precedent either for or against tax refusal on the basis of conscience and religious convictions. In 1971 Chrisman received draft counseling from James Dunn, pastor of the Champaign-Urbana (Illinois) Mennonite Church. He made a covenant with God to only pay taxes for humanitarian purposes. Since that time he has paid no federal income taxes. It wasn’t until this year, however, that the government prosecuted him, charging that he willfully failed to disclose his gross income in 1975 . “Willful” is the key term, because Chrisman claims he conscientiously chose not to disclose his income. He feels the government has purposely waited to build its case. “The government wants to establish a precedent in order to prosecute other tax resisters.” But Chrisman is confident. “We’re going to win and establish a precedent the other way,” he said. He believes he has a strong case. Part of that strength comes from his affiliation with the General Conference Mennonite Church. He read from a statement from the 1971 triennium which opposes war taxes and supports those who resist paying them. “That’s a beautiful statement!” he exclaimed, explaining that it has important legal implications for his case. In a moving conclusion to his talk Chrisman said that when he first appeared in court October 1 this year he was “scared to death.” “Today,” he said, “I have no fear in me. God has given me an inner peace. I know I’m doing what he wants me to do.” No one disagreed. Chrisman would lose his court case. On 3 December 1979 he was convicted of failure to file (he filed, but the government contended the information on the filing was not sufficient to make it legal). During the pretrial hearings Judge J. Waldo Ackerman allowed Robert Hull, secretary for peace and social concerns of the General Conference, and Peter Ediger, director of Mennonite Voluntary Service, to testify about Mennonite witness against war and conscription of persons and money for war purposes. But the testimony was disallowed at the trial. Chrisman’s attorney filed an appeal of the conviction, which was heard in November 1980 , with the Mennonite General Conference filing an amicus curiae in Chrisman’s behalf. The 6 February issue told of the Manitoba Alliance Against Abortion, whose bank accounts had been frozen by the Canadian tax agency to pay for the taxes the organization’s president, Joe Borowski, had been refusing to pay for several years. The organization disputed that the funds belonged to the organization’s president and could thereby be seized, saying that the funds were meant for a legal battle against legal abortion. A letter-writing campaign by supporters of the group was credited for pressuring the government to abandon the seizure. On 26 March , members of the St. Louis Mennonite Voluntary Service unit announced their refusal to pay the telephone excise tax and its redirection to the MCC. Robert V. Peters hoped that “seeking ways to resist the military machine (e.g. war tax resistance)” would be on the agenda at the Mennonite World Conference, in the 27 March edition. According to the direct command to pay taxes (Romans 13:6,7) and according to the specific word of Christ on the payment of taxes to “Caesar” (Matthew 22:15–22) we believe we are under obligation to pay taxes levied by the law. We regard taxation as the power of the state to collect monies needed for its budget and not as voluntary contributions by citizens. The February Minneapolis conference was given credit for encouraging peace-minded clergy to come together and discuss the arms race and peace advocacy. [G]ood citizenship does not imply that we should obey our government without regard for Christian conscience. Rather, good citizenship leads us to work as a church and human community towards the establishment of God’s kingdom on earth… We believe that Christ’s strength is in his weakness and that the present aggressive stance of the world’s military powers runs counter to our call to be peacemakers. 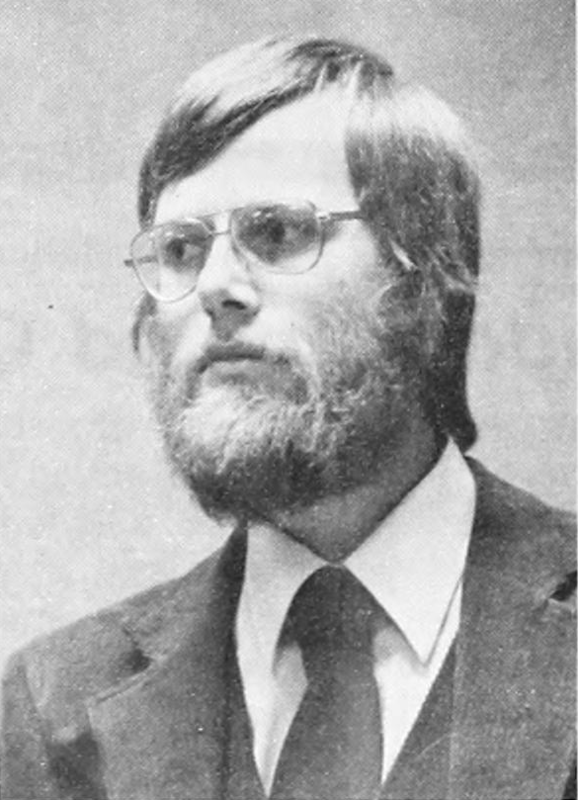 In the 1 October 1979 issue, Ferd Wiens attacked “what may be called a ‘peace” cult” of Mennonite flagellants who, in his view, had turned the doctrine of nonresistance on its head to make it a doctrine of civil disobedience — calling out promoters of war tax resistance in particular. Walter Regier agreed, writing that “[e]mphasis on world peace through demonstrations and nonpayment of taxes simply brings confusion into our ranks” and distracts from “more important issues that we face in our day… like abortion, homosexuality, and divorce”. The U.S. branch of Pax Christi (a Catholic peace movement) invited some of their Mennonite counterparts to their annual convention in October . Mennonites Bob Hull and Don Kaufman of Newton, Kansas, led a workshop on tax resistance and the World Peace Tax Fund Act. Interest in this was strong. About 40 persons, including some tax resisters, participated. Hull is peace and social concerns director for the General Conference; Kaufman is author of The Tax Dilemma: Praying for Peace, Paying for War . In a private meeting with Sister Mary Evelyn Jegen, executive secretary of Pax Christi USA, and Gordon Zahn, a Catholic conscientious objector in World War Ⅱ, Hull, Kaufman, and William Keeney explained the General Conference resolution on war taxes. Keeney, North Newton, Kansas, is director of the Consortium on Peace Research, Education, and Development. Although Pax Christi USA, supports the World Peace Tax Fund it has not responded to its members who engage in war tax withholding and are requesting official support from Pax Christi. In my congregation we took a poll on ideal ways to influence government. We prefer to exhaust all legal means to achieve peace before we engage in illegal maneuvers. Only 5 percent approved of refusing to pay one’s tax as a protest. But in terms of practical, positive solutions, we found that 65 percent approved the World Peace Tax Fund alternative; 85 percent approved writing the President and Congress; 85 percent approved using the ballot box to elect responsive leaders; and 89 percent approved increased giving to decrease taxes. And Mark S. Lawson added that the blessings of government that Epp felt we should all be humbly grateful for weren’t all that. For example: “My country forces me to cut my income below the taxable level so I can obey both the laws of God and man. Religious liberty is only for those who support the killing in wars financed by their tax money.” He seconded the idea that only through “widespread tax refusal” could pacifists pressure Congress into creating an alternative for conscientious taxpayers. C.B. Friesen was more appreciative of Epp’s take. He trotted out the usual Render Unto Caesar ⇒ Romans 13 ⇒ 1 Peter 2 biblical justification for submission to civil government and said that those who counsel war tax resistance “mostly benefit their egos” in service of their “own philosophies and pet theories”. Everything you wanted to know about the “phone tax” and how and why it is resisted. How to resist the federal excise tax on your Verizon phone bill. Also: signs of moral engagement and disengagement, and how to encourage the former. And: Uri, Switzerland tried to tax “bobbed hair” in 1929, but women laughed it off. Did you get me anything for “Support the Pentagon Day”? Also: the Irish resistance refuses to pay the “police tax” in 1884. And: the I.R.S. cracks down on phone tax resisters in 1968. A feature on the Vietnam War-era war tax resistance movement does a better than usual job of capturing the history and breadth of the movement. The New York Yearly Meeting of Friends rediscovered war tax resistance during the Vietnam War, and took strong stands both to resist as a body and to help individuals who were resisting. They still talk about conscientious objection to paying for war today, but in a much more vague and noncommittal way. The I.R.S. takes war tax resister Cindy Sheehan to court. Also: notes from war tax resisters Ed Agro and Paul Leatherman. And: the I.R.S. shed 5,000 employees over the last year, mostly from their tax enforcement division. An article from an April 1974 D.C. Gazette gives a snapshot of the American war tax resistance movement of the mid-1970s. The Department of Justice loses 30% of its tax prosecutors. The federal government is bigger than you might think. Ed Agro on war tax resistance. And: a Mother Jones article from April 1989 on war tax resisters. The December, 1968 edition of The Buddhist Third Class Junkmail Oracle promoted phone tax resistance as a Vietnam War protest, and gives some interesting details about the government (and telephone monopoly) response. War tax resister Richard Catlett, one of the few American war tax resisters to do time behind bars for his resistance. Some examples of the rhetoric and demonstrations from when telephone excise tax resistance became a popular tactic in the movement opposing the U.S. war against Vietnam. By April, 1970, the American anti-war movement had really hit its stride, and war tax resistance had become a mainstream protest tactic. With its quotes and paraphrases of unnamed “officials” and its furious handwaving, this 1968 newspaper article on war tax resistance reads to me as a desperate attempt by the government to throw water on a spreading brushfire by means of a cooperative and sympathetic reporter. A student paper’s report on a special Philadelphia Yearly Meeting session on war tax resistance in 1969. Also: an idiosyncratic phone tax resister from 1962. Some tales of Vietnam War-era war tax resister and activist Helen G. Alexander. A shoot-out involving black poll tax resisters in Georgia in 1921. War tax resister Arthur Evans. And another tale of phone tax resistance during the Vietnam War period. The Bay Area chapter of Declaration of Peace held a press conference this morning at the San Francisco Federal Building to launch their campaign. I looked for signs of new tactics and determination. My war tax resistance speech from last month is reprinted in (and recorded for) Peacework Magazine. Also: Michael McCarthy, Eric Stoner, and Bryan Farrell promote war tax resistance. And: another set of defendants are acquitted for sabotaging U.S. military equipment after raising the defense that they were acting to prevent acts of criminal war. Some war tax resistance news from here and there, and international tax resistance news from Italy, the Netherlands, Austria, Venezuela, and England. How soon did war tax resistance become part of Quaker practice, and what were its earliest forms?